Un informe de la RAND Corporation advierte sobre el peligro de los misiles hipersónicos, viajan a una velocidad de una milla por segundo o más, al menos cinco veces la velocidad del sonido. Son capaces de evadir y ocultar sus objetivos precisos de las defensas hasta segundos antes del impacto. Esto deja a los objetivos casi sin tiempo para responder. Además, tales armas son capaces de destruir blancos sin ningún explosivo, usando solo su energía cinética … Como responder? While the world bemoans the lack of inspired solutions for dealing with the North Korean missile threat, another danger looms under the public’s radar: that of hypersonic missiles and their possible spread into international commerce. Hypersonic missiles travel at a speed of one mile per second or more—at least five times the speed of sound. They are able to evade and conceal their precise targets from defenses until just seconds before impact. This leaves targeted states with almost no time to respond. Additionally, such weapons are capable of destroying targets without any explosives, using their kinetic energy alone. 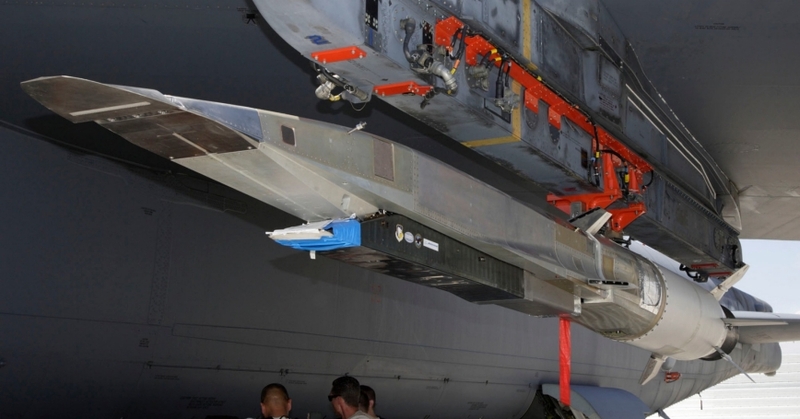 Hypersonic missiles require a reconsideration of traditional second-strike calculations, as they have the potential to decapitate a nation’s leadership before it has the opportunity to launch a counter attack. As a result, a state facing a hypersonic missile threat must make the best of a bad situation, effectively forced to choose the lesser evil. It could authorize the military rather than the national leadership to conduct retaliatory strikes, but this would raise the risk of an accidental conflict. It could spread out its forces, making them more difficult to attack, but also rendering them more susceptible to sub-national seizure through a greater number of access points. It could deploy its regionally-strategic forces upon receiving the first warning of an attack, which would make crises exceedingly unstable. Finally, it could launch a preemptive strike upon its enemy. All of these choices invite trigger-happy state behavior. Given that the proliferation of current generations of ballistic missiles poses many of the same problems as the spread of hypersonic missiles, do the latter really present a unique challenge? For states without missile defenses, hypersonic missiles add relatively little in the way of a threat. However, an increasing number of states are procuring missile defense systems, particularly against regionally-ranged threats. These systems could be effectively neutralized by hypersonic missile technologies. The United States, Russia, and China are leading the race to develop hypersonic missiles, with France and India close behind. Japan, Australia, and Europe are all developing the component technologies, in some cases for ostensibly civilian purposes. Within ten years, hypersonic missiles are likely to be deployed and potentially offered on the international market. Is there no way to avoid a world with widespread hypersonic forces? Hypersonic technology itself offers hope, as it is extremely difficult to master. Igniting the engine of a hypersonic cruise missile has been compared to lighting a match in a 2,000-mile-per-hour wind. Moreover, the shape of the missile changes under the rigors of hypersonic flight, creating great challenges for flight control. A recent RAND Corporation report recommends that the United States, Russia, and China (the Big Three) take advantage of these technical barriers by agreeing to embargo complete hypersonic missiles and their major components. Because of the challenges associated with the technology, this embargo could limit hypersonic missiles to the Big Three for many years. In fact, it is in the interests of the three states to reduce their exposure to this new threat. Russia in particular has been vocal regarding the dangers of hypersonic missiles, perhaps due to a fear that NATO could mount a devastating hypersonic attack. Further, China can be expected to oppose both Japanese and Indian acquisition of such weapons. At the international level, a broad agreement to limit trade in lower-level hypersonic technologies should exist so that this trade is undertaken only with the greatest circumspection. The Missile Technology Control Regime (MTCR), a 35-state international policy aimed at restricting missile proliferation, currently covers some hypersonic technologies. For example, Japan and Europe have expressed a desire to develop hypersonic airliners. Due to challenges associated with past efforts to develop cost-effective, hypersonic airliners, as exemplified by the fate of the Concorde airliner, the RAND Corporation report expresses skepticism regarding the feasibility of this goal. Nevertheless, for situations involving hypersonic aircraft to be used as airliners or for launching space satellites, the MTCR provides a case-by-case review process to try to prevent technologies from proliferating to state weapons programs. However, there are some loopholes in the policy’s coverage of hypersonic missiles. For instance, China is not a member of the MTCR. Additionally, because hypersonic missiles require little or no payload (such as explosives) to constitute a threat, they do not conform to the payload requirements in the regime’s definition of a missile that is subject to its tightest restrictions. Therefore, if a minimal, three-state embargo—one that includes China and imposes stiffer restrictions than the MTCR—is to be rapidly established, such a policy must be formulated outside of the existing regime. Fortunately, no state currently has a vested interest in offering hypersonic missiles for sale. This could change within ten years. However, for now and for a very few years, there is time for action by the United States, Russia, and China, as well as other states that do not want hypersonic missiles to flourish in their neighborhoods. It is time to move toward heading off this proliferation threat while it is still possible to do so.